The worst advice I read on nearly every post about Felipe Carrillo Puerto is that there is nothing to see and to continue driving onward to Costa Maya. It’s as if having an authentic experience in a town that doesn’t exist solely for tourism in the Riviera Maya is a bad thing? This is the real Mexico. Sure, when you tell people that you’re going to Felipe Carrillo Puerto you may get some strange looks because it’s not a tourist town. Also known as “Carrillo” it’s 2 hours from Playa del Carmen and an hour from Tulum but couldn’t be more different. Before I came to this town I couldn’t find a lot of information about what to see and do. So I wanted to share what I know and love about Felipe Carrillo Puerto in hopes that it inspires others to visit. Is Felipe Carrillo Puerto Safe? 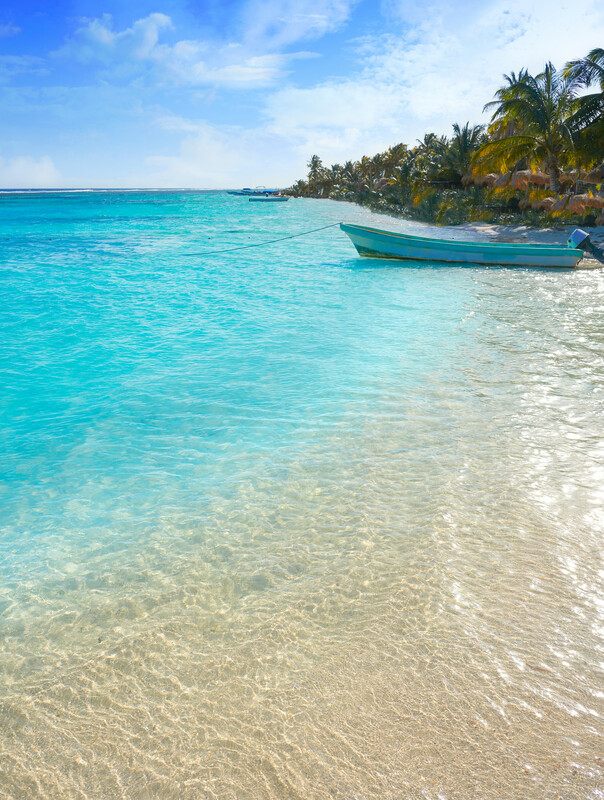 Although it’s located on the edge of the Sian Ka’an Reserve, Felipe Carrillo Puerto is relatively known to outsiders. Yet it is a very important city for the Mayan community. 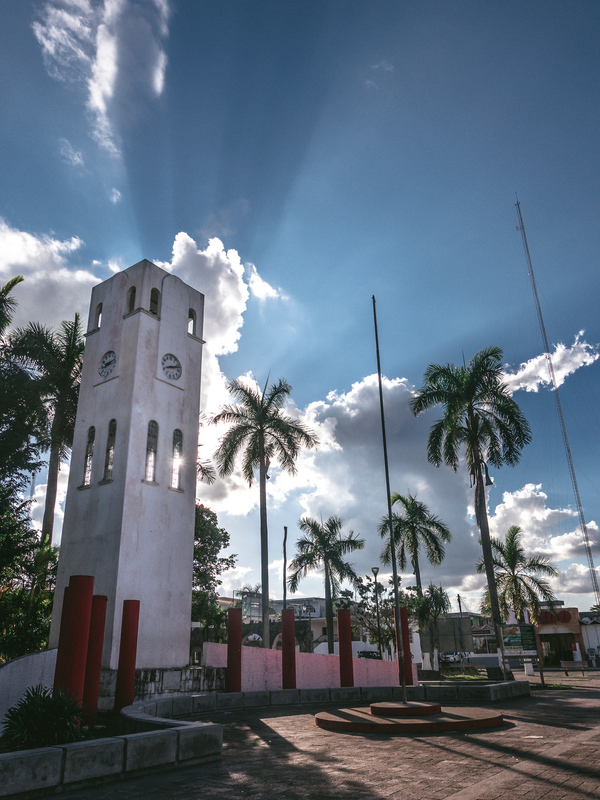 Originally called Cha Sta Cruz then Santa Cruz de Bravo, it was the capital city which lead the fight against the Spanish. After the Caste war with the Spanish the Maya community then went to battle with Mexicans. 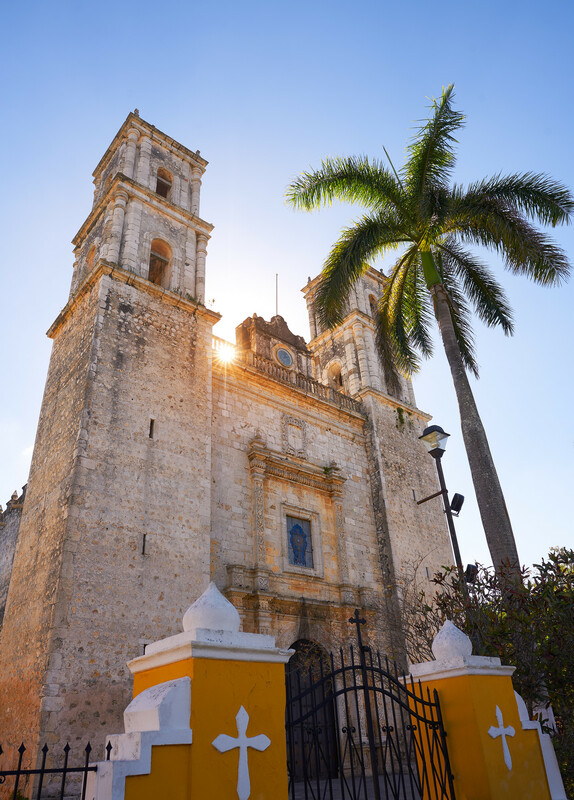 The name changed to recognize the efforts of Felipe Carrillo Puerto, the governor of the Yucatan who helped bring rights and eventually peace to this Mayan community. Although Carrillo Puerto was Mexico, he did have Maya heritage. 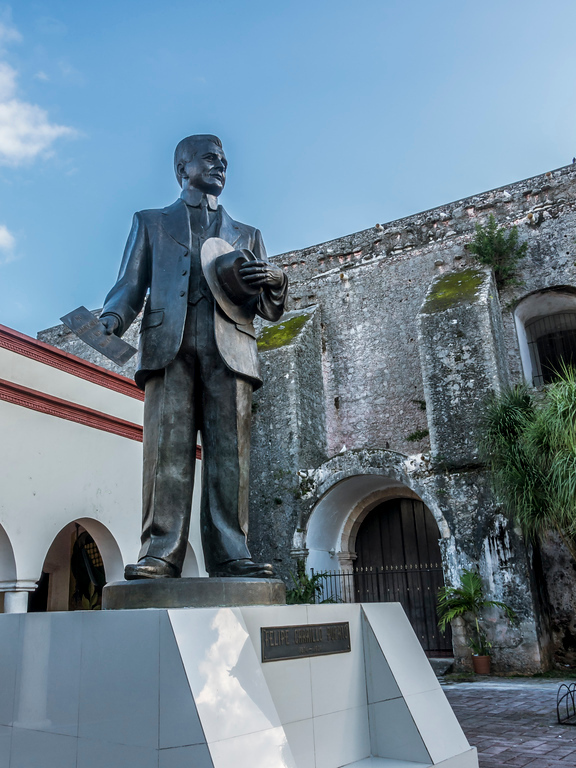 he was governor for less than two years but he brought land reform, giving back land to the Maya, granted rights to women, opened schools and supported the restoration of pre-Columbian sites. He was respected as the “Apostle of the Bronze Race” for his support of the Maya. Unfortunately he wasn’t loved by all, and when he did not support the rebellion against the current president he was executed by his enemies. Today locals know it as the heart of the Maya culture. In this region many consider themselves Maya first then Mexican. They speak Maya at home and Spanish outside. It’s common to see women still wear traditional dress in town. And like any small town, it’s normal for them to wonder what you’re doing there so they often stare. I found a friendly smile and buenos dias broke the ice. A little bit of Spanish goes a long way and they are really patient and accommodating while you try to communicate. I visited Felipe Carrillo Puerto to spend the week with Na’atik Language and Culture Institute, a non-profit language school. I first learned about them on Twitter and was really interested in them because they also give 10% of profits to subsidize local children learning English. 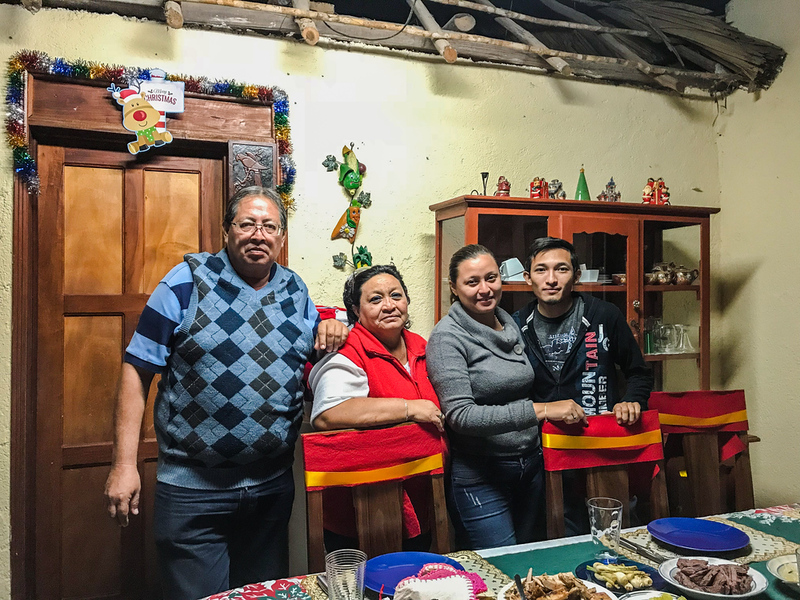 Learning English can open up so many doors for people, especially in a region like the Riviera Maya which has so much tourism – it means the difference between a low wage as a maid or a higher wage as a receptionist. I’ll never forget meeting Eric on my way to Lanquin, who had such determination to learn English that he taught himself with subtitles on movies and now works in a fishing resort. Their name comes from the Maya expression “To’on Na’atik” meaning “we’re understanding each other” and they have classes in Spanish and Maya for tourists and English for local Maya children. Na’atik invited me to spend a week experiencing their program and staying with a local family. I loved it so much I stayed another week on my own to discover more of the local culture. During the day I took classes, with one other student. It was interesting because she had more traditional experience in a classroom so could conjugate well, whereas I’ve learned most of my Spanish while traveling. It’s not always correct but I’m comfortable just speaking, knowing that I can communicate well enough for people to understand. 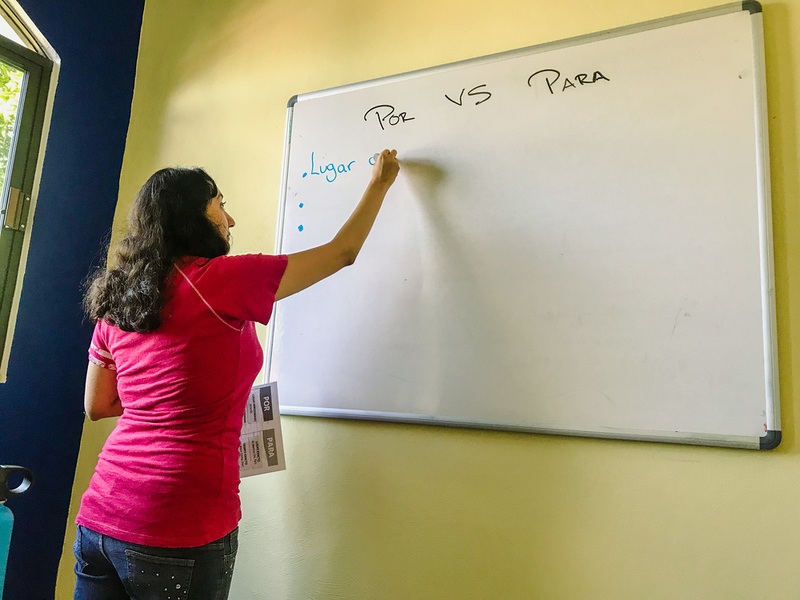 With just two people in the class we were able to address both our needs and after a week I felt like I had really improved my Spanish. Have to laugh at this photo as the Cauichs are always smiling. But not in this photo. I loved staying with with the Cauich’s, they were incredibly hospitable. While some people fear the awkwardness of staying with strangers it really makes a huge difference. I did it in Nicaragua with the Balmacedas and I’m finally returning to Nicaragua later this year. Na’atik placed me in a home where Dianela, the mother, was previously a cook. They knew I was interested in local food and Dianela would often ask if I knew a traditional dish, if I didn’t she’d make it for me. But not only was the food fantastic, staying with a family really forced me to pay attention to what people were asking me. Miguel and Dianela had students stay in the past so they were patient and would slow down and repeat what they asked. Eventually I began to understand more and really enjoyed dinner with them. The options for homestays range, some students stay in a home without air conditioning and sleep in hammocks. But my family had a separate building for me with two beds, a hammock and private bathroom. Like most cities in the Yucatan you cannot drink the water but bottled water is everywhere and very inexpensive. Also Do not flush toilet paper anywhere. You’ll find a lined waste bin everywhere for the toil paper. I’ve visited many cities that had their fair share of dogs but nothing compares to Felipe Carrillo Puerto. There are family dogs that are behind gates, some family dogs walk the town off leash and then there are strays. There are so many dogs off leash that you may find them in little gangs bullying other dogs. It’s almost like prison where you either join a gang or become someone’s b*tch. It’s best not to try to pet any of the dogs or give them attention of any kind. At night they can become aggressive if you’re passing by their house. Stomping your food on the ground or yelling at them usually gets them to runaway. As it’s a relatively small town the restaurant hours often fluxuate depending on the day so you may arrive during open hours to find a cafe or restaurant closed. On a positive note, eating is very economical and the city can be great for backpackers as it requires much less, than say a Mexico City budget would. A cozy cage with lots of activities at night from live music to board games. Expect typical cafe food and good coffee. Your best bet for good wifi and vegetarian food or substantial salads. Staff is friendly and you’ll find a lot of local police often stop in for lunch. Don’t worry if your lunch runs a bit past 12pm, staff are accommodating and will allow you to stay while they clean. If you have a sweet tooth this is the place to go. This pasteleria in Felipe Carrillo Puerto is known for its elaborate cakes. However, it’s also great to stop in for individual portions of dessert and cupcakes. Expect Mexican desserts along with great international options like cheesecake. This family owned taqueria has a few outlets, including a famous one in Playa del Carmen. Great tacos at incredibly reasonable prices. Authentic Mexican food at a price that keeps locals coming back. You can’t beat it. While it is technically called a snack bar it has a huge menu, with lots of options like burgers and fries, wine from California and food you can’t find elsewhere in the city. It’s one of the few places open for lunch and it’s also great for wifi. Tortillas are made by hand here, which is important when choosing a taqueria. There are a variety of options and it has a great outdoor seating area. When you grow tired of tacos, believe me it’s possible, this is a solid option for pizza. Don’t expect it to be like home but it will have the same familiarity of this comfort food from home. Locals will dine out for breakfast and dinner, but never for the biggest meal – lunch. 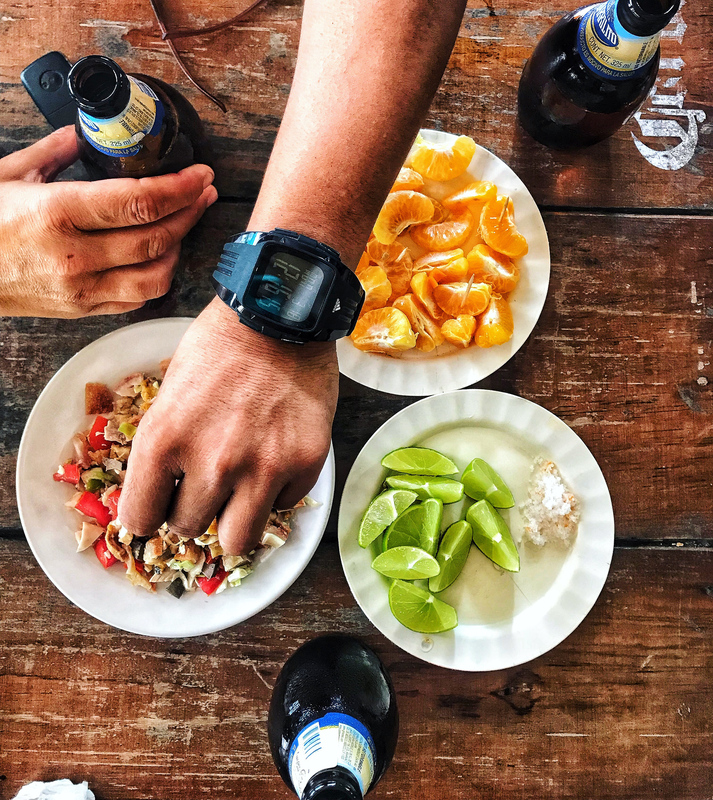 Locals in Felipe Carrillo Puerto prefer to eat lunch at home and so most of the restaurants close for the afternoon and don’t open until 6pm or later. During the afternoon you can find some cocktelerias open along with El Faisan y El Venado because it’s in the hotel. The market is also open and won’t be crowded. Around 4pm you’ll also see marquesita vendors beginning to set up for the evening. A grocery store that is central and larger than corner shops. It’s owned by Wal-Mart but it’s not a discount store and often can be more expensive. 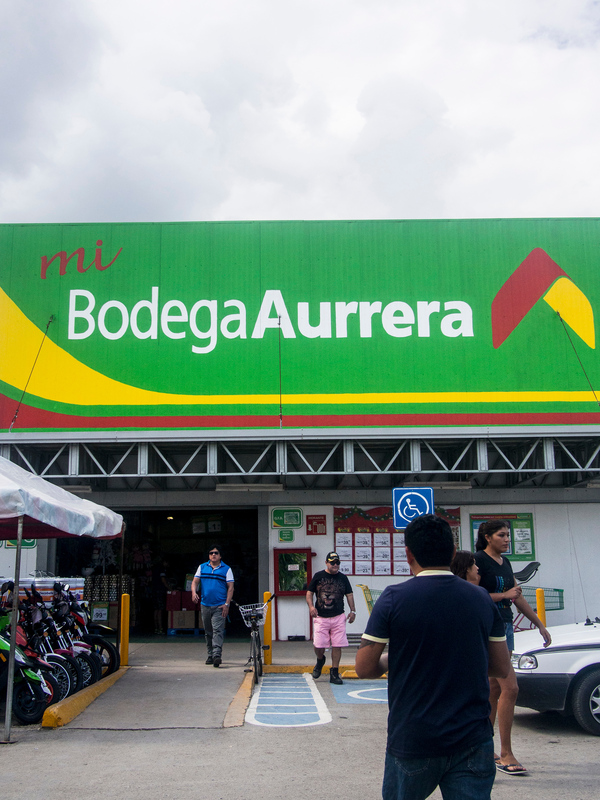 A well-known Mexican supermarket that in other locations like Tulum also has clothing, electronics and a pharmacy. It’s also open an hour later than Aurrera. Located next to Chedraui and is similar to a department store with appliances and clothes. The market (mercado) in the centre of town has produce and meat along with general household items. This is not a market for haggling. There is a set price and as this is not a tourist town vendors will offer you the same price as locals. 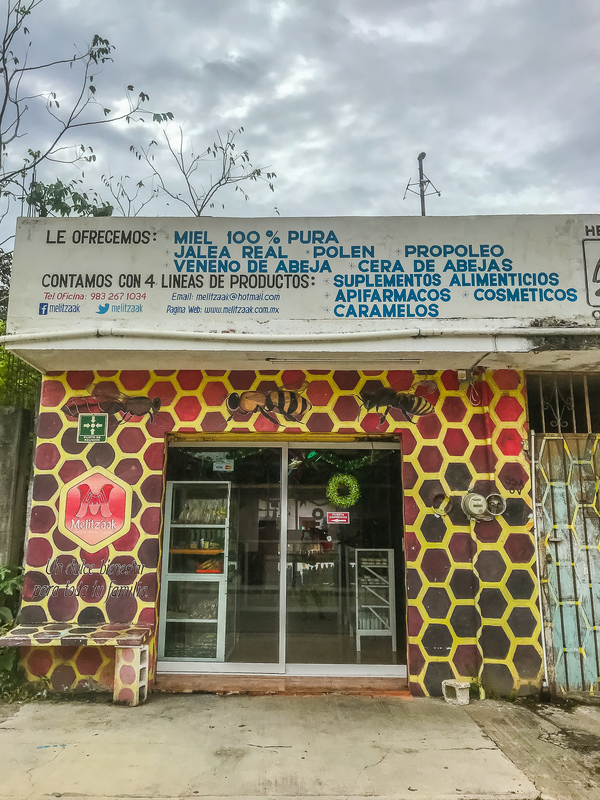 A honey store run by a local Mayan women’s collective group. Honey is a local product here and turned into various healthy and beauty products. A craft store supporting the local Maya communities, it’s a great place to find souvenirs. A portion of the proceeds to run the Spanish Immersion Program goes to a school teaching local children (and some adults) English. American born Sonja wrote the cookbook/memoir “The Painted Fish” for which the proceeds go to the school. You can take the Mayan bus or the ADO from Playa del Carmen for MX120. Sometimes the ADO staff aren’t great at explaining what bus is yours, but mine was the Chetumal bus that first stopped in Tulum then Felipe Cariollo Puerto before moving onto Chetumal. Also known by locals as Chunyaxché, this Mayan ruin is one of the oldest (350 BC) and longest inhabited sites in the Yucatan. Muyil (moo-yil) is located at the Sian Ka’an Biosphere Reserve. It’s just over 9 miles (15 km) south of Felipe Carillo Puerto and not far from the Coba ruins. It’s an easy afternoon trip to visit the ruins, which are overlooked by many tourists and therefore not crowded. 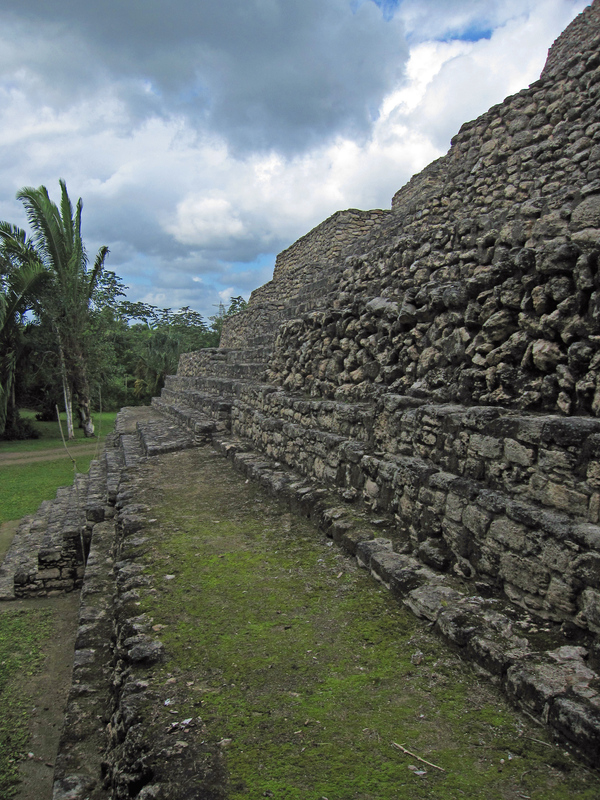 Those who have been to Tikal in Guatemala will notice a similar structured pyramid with stairs to the top. You can combine the trip with a visit to the Sian Ka’an Lagoon, one of the most unique experiences I have encountered. A boat takes you through a stunning mangrove, where you jump out wearing a lifevest and the flow of the canal will take you on a leisurely ride. 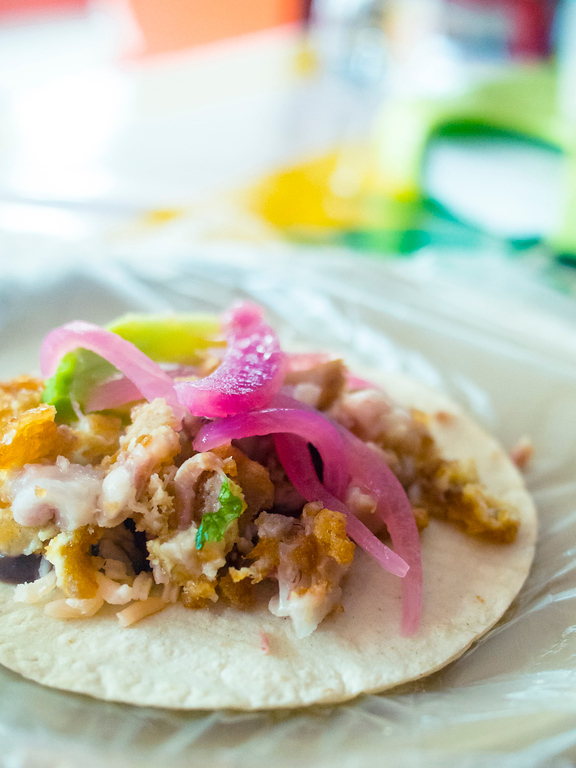 Few people know about this and soon it will be a must-visit experience in the Riviera Maya. 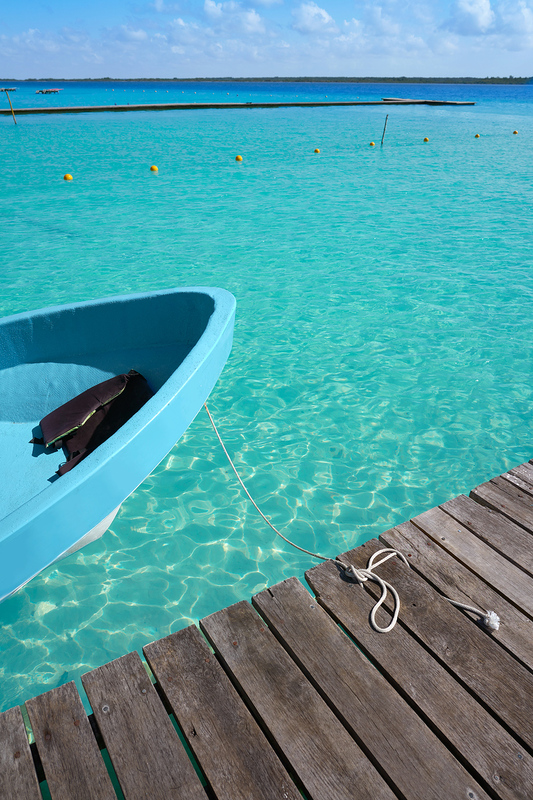 Located in Southeast Mexico approaching the Belize Border, the town of Bacalar is on a lake of the same name. Lake Bacalar is called the Lagoon of Seven Colours because of its striking hues that change as you pass from the shore over sinkholes. 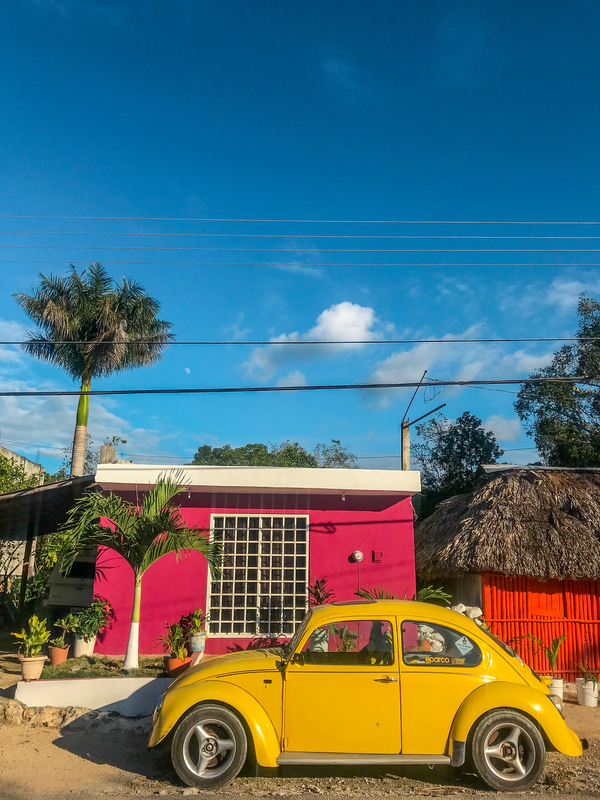 One of Mexico’s designated pueblos mágicos Bacalar is often overlooked by cruise ships and bus tours as it has no beach making it an uncrowded experience. When you tire of kayaking the lagoon you can head to town to visit the Maya Fortress de San Felipe Bacalar. Restaurants and hotels and very reasonably priced as they often serve Mexicans rather than international tourists. A series of lagoons and a cenote, Síijil Noh Há sees many locals but few tourists, other than those who are on a group trip with Na’atik. It’s only 8 kilometres from Felipe Carillo Puerto, making it an easy bike or taxi ride. An ecotourism centre you can spend the day on the waterfront, take the path to a gorgeous cenote, eat at the restaurant or even stay the night in cabins. There are enough activities to keep you busy with canoes and kayaks. A focus on sustainability, the site uses solar power, Mayan ecological wood stoves (Tumben Kóoben) at the restaurant, harvest rainwater and focuses on ecological waste disposal. Note once you leave the highway the 3km dirt road to Síijil Noh Há is very bumpy but worth the trip. It’s name means place of the red corn, and this Mayan site is very popular with cruise ships but it’s easily visited independently. If you get there early you’ll miss all the tourists. Structures dating back to 700AD, the site is located in the jungle and features three restored pyramids and a number or partial ruins. You can climb the Gran Basamento to reach two of the temples. Many of the ruins are still untouched or in the process of excavation. One of my favourite towns, many people say that Mahahual is what Tulum used to be before tourism took over and it became a bohemian haven for tourists from Los Angeles. The town is changing rapidly as there is a new cruise ship dock and so masses of tourists flood the town at one time. While there are many shops and restaurants that have been built specifically for the passengers it’s still possible to avoid these tourist traps. Food and accommodation remain reasonable, especially when the ships aren’t in port. Locals selling jet ski and quad bike rides can be aggressive at times, but it’s much quieter as you head south. Not my favourite city in the region, as it’s flooded with tourists but it is one of the most popular things to do in Mexico. That’s not necessarily a bad thing as I do like Playa del Carmen, I just don’t vibe with the town. That said, it’s worth visiting to decide for yourself. 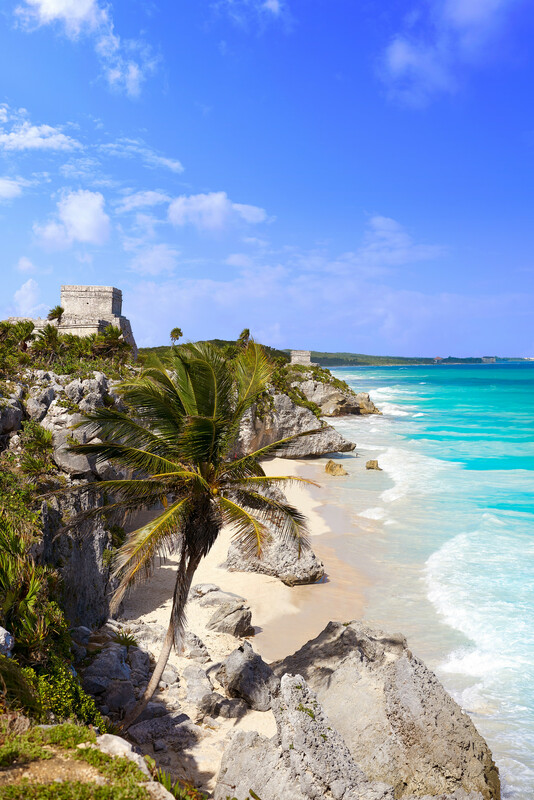 It has beautiful beaches and ruins that overlook the turquoise waters. I found the Tulum ruins to be underwhelming, but that’s just me. There are also a number of cenotes nearby and opportunities for cave dining. As well you’re close to the Coba and Muyil ruins. If you’re looking to escape the crowds Valladolid is a great day trip. Built by the Spanish it’s an interesting mix of colonial architecture with a strong Maya influence. The food is incredible and like in Felipe Carrillo Puerto you’ll see women in traditional dress. 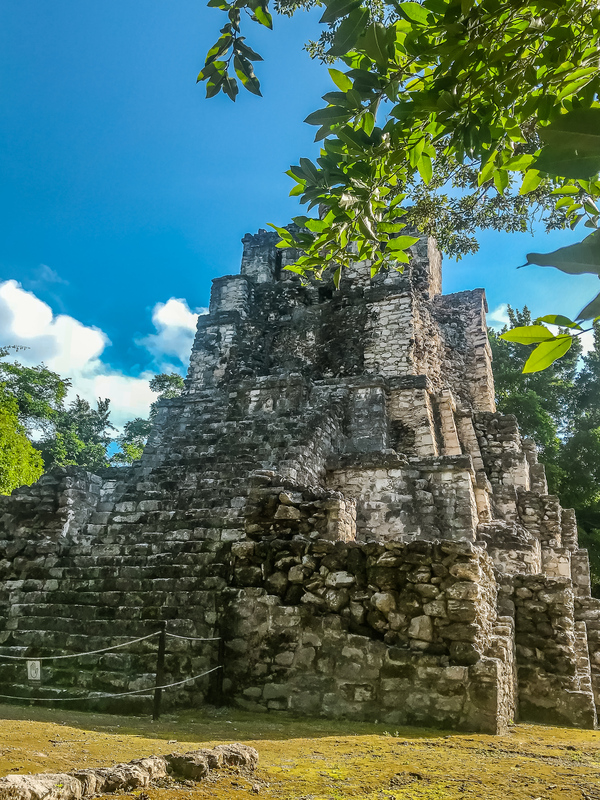 It’s becoming more popular with independent travellers as it’s a great hub for a number of cenotes along with Chichen Itza and tour prices are generally cheaper than more developed cities. The town itself has plenty to see, a great market for local food and a beautiful city square. Most people stay the night and move on but I think Valladolid is worth a few days. Also known as the famous pink lakes, the colour is caused by a local shrimp that enter the water and die because it is too salinated. They release a bacteria that changes the colour of the water. It is a great spot to catch Caribbean flamingos during the early morning and evening feasting on these shrimp. « Tieks Travel Review: Are Tieks Ballet Flats Worth It?